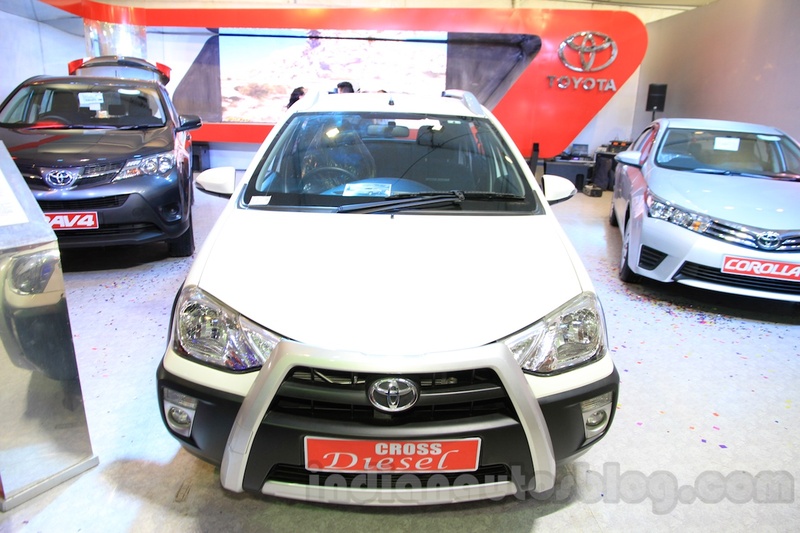 United Traders Syndicate (UTS), the authorized distributor of Toyota vehicles in Nepal, has launched the Toyota Etios Cross diesel variant at the NADA Auto Show 2015 this week. 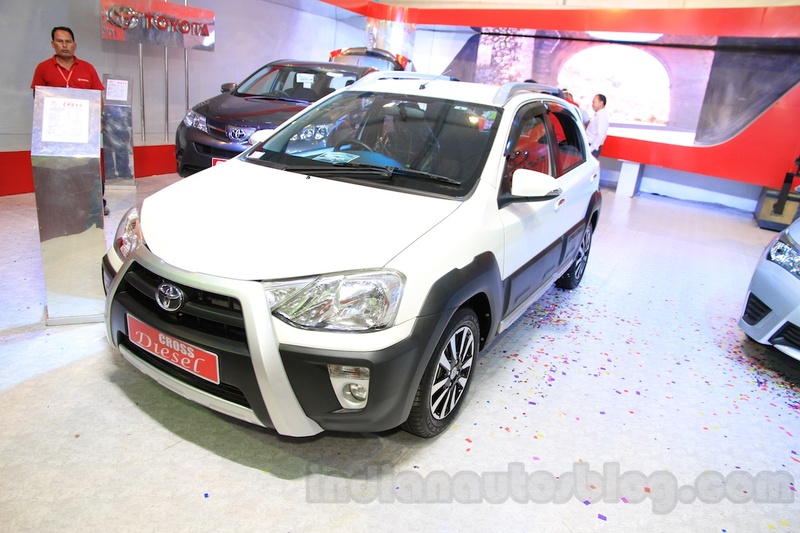 The car is exported from India. 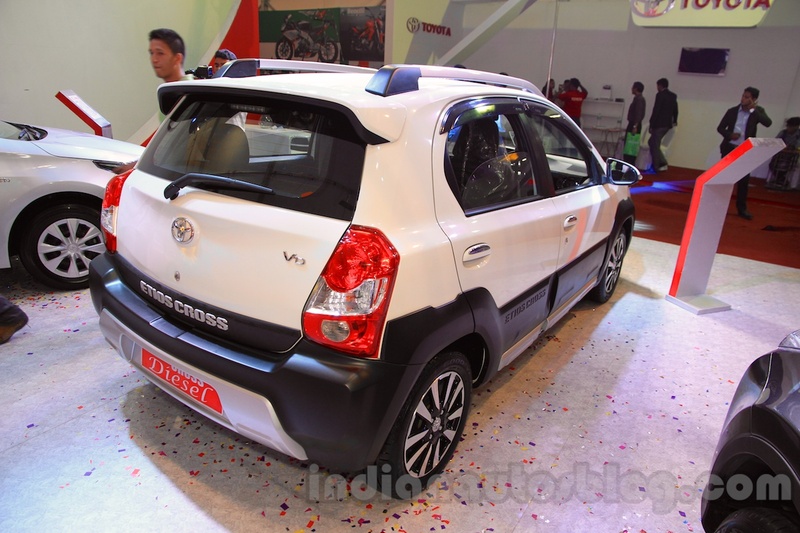 Priced at 445,000 NPR (INR 27.7 lakhs), the Etios Cross diesel is a kitted-up version of the Etios featuring aggressive bumpers, trapezoidal grille frame diamond cut alloy wheels, roof rails, side mirror with embedded indicators, roof spoiler and side body cladding. The interior is appointed with a multi function leather wrapped steering wheel, Piano Black theme, sporty seat fabric with white stitching and logo, chrome surround on the air vents, and a 2 DIN Audio with Bluetooth, USB, AUX-in & Remote. 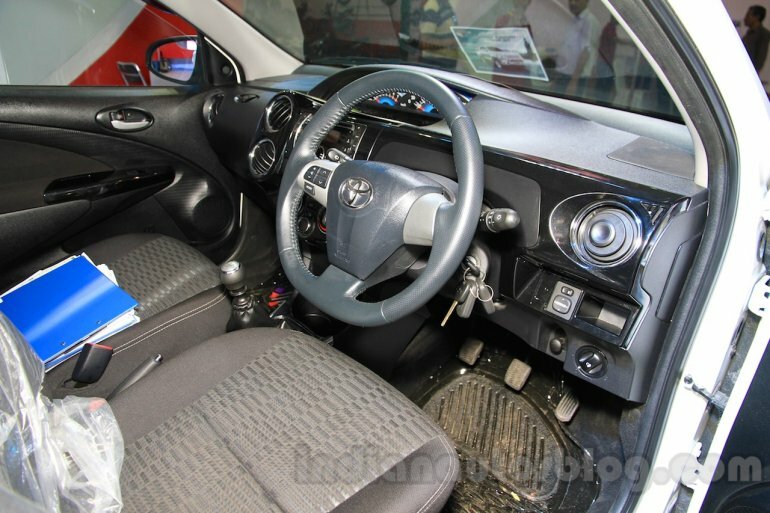 Features on the Nepalese spec Etios Cross include keyless entry, Day/Night inside mirror, engine immobilizer, ABS and dual front airbags. The car is powered by a 1,364 cc four-cylinder engine that develops 68 PS (50 kW) @ 3,800 rpm and 170 Nm (17.3 kg-m) @ 1,800-2,400 rpm, matched to a five-speed manual transmission. Its ARAI certified mileage is 23.59 km/l. UTS had introduced the Toyota Etios Cross petrol at the NADA Auto Show last year, shortly after it launched in India.